This has been happening lately in public places, like start and Verdemyr. 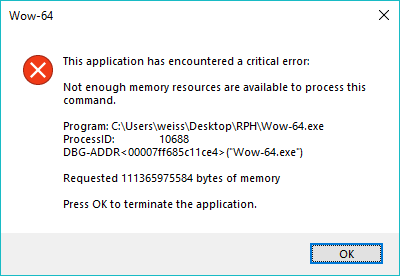 I hear it's a castable game crashing spell - that apparently requests a metric fuckton of memory. This happens to other people and it hasn't happened to me in private places where an anonymous goon can't get to with their fun little spell. ITT; someone's able to crash peoples' clients at will.